Peach Clinics > Is Galvanic Electrolysis for you? The short answer is, “Yes it is” in almost all cases. The long answer may be for a few: “Not right now”, “with a doctor’s letter” or “at a slower rate of treatment”. This is because some medical conditions mean that there are unacceptable risks associated with the treatment. PEACH CLINICS will never knowingly put you at risk. If your current electrologist is not asking you these questions, you should consider whether they are putting you or your skin at unnecessary risk. At PEACH CLINICS we take a comprehensive medical history from you at your initial consultation. Based on that information and our professional assessment, we will give you realistic advice about the suitability of galvanic electrolysis. If you have a medical condition that makes galvanic electrolysis inadvisable, we may be able to suggest alternative treatments. Finally, is galvanic electrolysis worth it? The answer is a resounding yes! Galvanic electrolysis IS permanent hair removal. Treat your unwanted hair once and it will be gone forever. Pacemaker, metal implants – Advise us if you have metal or electronic devices in your body. We will position electrodes to minimise current flow near them. Type 1 diabetes (face and trunk) – Galvanic electrolysis can be performed on the face, neck and trunk if monitored closely. Anticoagulation medication – If you are taking Warfarin, Heparin or Aspirin your blood clotting ability is impaired and you can bruise easily. Sensitive to latex – If your skin is sensitive to latex we will use nitrile gloves during your treatment. Aged under 18 – We can undertake galvanic electrolysis on you if you are under 18 years of age but only with a parent’s written consent. Epilepsy – If your epilepsy is controlled by medication, galvanic electrolysis can proceed with caution. If medication is not needed we require a letter from your doctor before proceeding. Keloid scarring – If your skin is prone to keloid scarring, we need you to sign a release form prior to treatment. We would also prefer you to take advice from your doctor in case keloids occur at the site of the probe insertions. PEACH CLINICS is not able to guarantee that this will not occur. 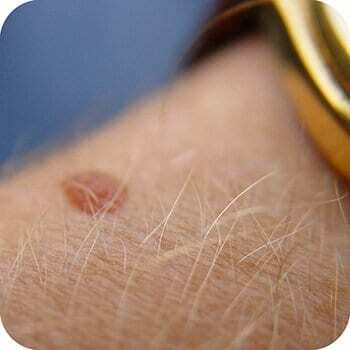 Moles – We require a letter from your doctor before treatment to be certain there is no malignancy in the mole. Pregnancy – Women can experience an increase in body hair during pregnancy. This will likely resolve itself once your hormone levels return to normal. PEACH CLINICS will not undertake permanent hair removal treatment while you are pregnant. 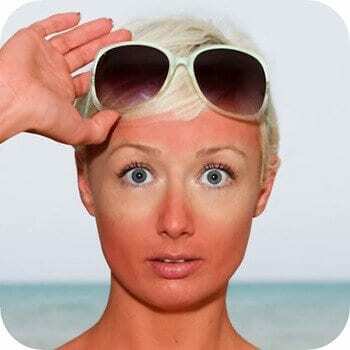 Sunburn – Sunburn can impair the ability of your skin to heal. You should wait until the sunburn has subsided before starting treatment. Dermabrasion and chemical peel – These treatments increase skin sensitivity. You should wait 6 months after treatment before starting galvanic electrolysis. This will allow your skin to heal properly. Cold sores (herpes simplex) – This condition can be aggravated and recovery impaired if galvanic electrolysis is undertaken during a flare up. Postpone treatment on your face until you recover. Roaccutane (Isotretinoin, Isotrex, Rocta or Accutane) – We will not undertake galvanic electrolysis for at least 6 months after you stop taking Roaccutane. It causes the skin to become thin and easily irritated, impedes healing and increases your chance of scarring. Retinoids – We will not undertake galvanic electrolysis while you are using a retinoid. Your skin will be very sensitive with a rapid skin cell turnover. Please wait 2 weeks after ceasing retinoid use before starting treatment. Dermatographic urticaria – If your skin becomes sore and raised even from light scratching, please advise us and we will closely monitor it during treatment. Taking antihistamine medication and using a topical antihistamine cream can help. Type 1 diabetes (legs and arms) – This condition reduces circulation to the limbs and PEACH CLINICS will not undertake treatment on your legs or arms. Galvanic electrolysis can be performed on other areas if monitored closely.